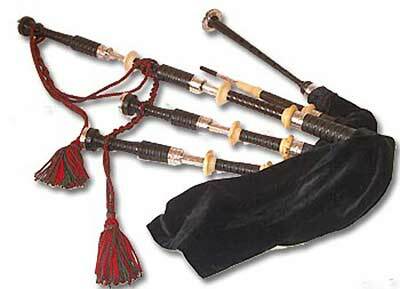 Guest Writer Neil Clark writes about Bagpipes: Most people think of bagpipes as an exclusively Scottish instrument. This isn’t really the case, as pipes have existed in many countries since ancient times. In fact, it has been claimed that Nero didn’t fiddle as Rome burned, but played the pipes. Well, maybe. And the pipes still exist in many forms, all over the world. But here, we’re talking about a particular form of pipe, namely the “Great Highland Bagpipe”, and few could argue that the Scots haven’t made it their own. Even today, when two pipe bands from Canada and one from the Republic of Ireland have won the World Pipe Band Championships, Pipers the world over still look to Scotland as their Mecca, and flock here for both the World Pipe Band Championships, and The Northern Meetings Solo Competition at Inverness, where the coveted Gold Medal is sought. Largely due to the British Empire (whatever your thoughts on that) there are Pipe Bands of one sort or another in the armies of countries across the globe. While it’s estimated there are 10,000 pipers in Scotland, there may be 100,000 in North America. It’s true that the pipes have a martial background. Something pretty loud was needed to have a hope of being heard in the heat of battle. Loud, however, should not mean discordant, and the GHB has had a hard time fighting against a bad press now and then. In the right hands, however, the pipes are a beautiful instrument, unlike any other. Responsible, I believe, for more tears of both sadness and joy than any other. And more than that, an instantly identifiable symbol of our nation. Anyone who doubts that we punch above our weight should doubt no more after hearing the pipes. Personally, I think piping, both in Scotland and the wider world, has never been stronger. And lets include Pipe Band Drumming in that. The Scottish Diaspora has a lot to do with that, sure, but modern media has helped. 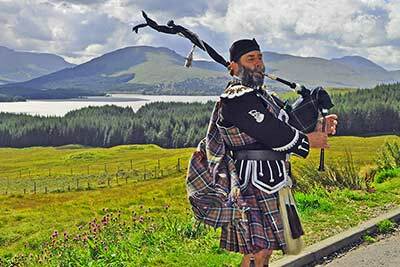 These days, if you want to hear a good piper, there are loads of recordings available. No one has to suffer the guys torturing the tartan octopus any more. People are aware what good playing is, and should demand it. We have fantastic resources at our disposal, and piping events have grown from being localised affairs to live streamed programmes all over the world. Within minutes of a small solo competition in, for example, Lochearnhead, the results are known all over the world via the internet. Good, structured teaching, whilst always available, is now easily accessible through centres such as The College Of Piping and National Piping Centre. The World Pipe Band Championships are already the climax of a terrific week long festival, “Piping Live”, held in Glasgow on the week prior to the worlds. It’s not humanly possible to attend all of the top class events and displays held during this week. And that’s just August…. Highland Games and Pipe Band Competitions are held from April to October. The Solo season runs from March to November. Then of course there’s Burns night, Hogmanay, and even St Andrews Day, which contrary to popular belief, we do actually celebrate in Scotland! Downtime? Well, maybe February, but there’s practice and preparation to be done for the season starting!